Black and white portrait of Annie Franceschini and daughter Myrtle, Toronto, ON, ca. 1921. Annie was the wife of James Franceschini. Their daughter Myrtle was born in 1921. 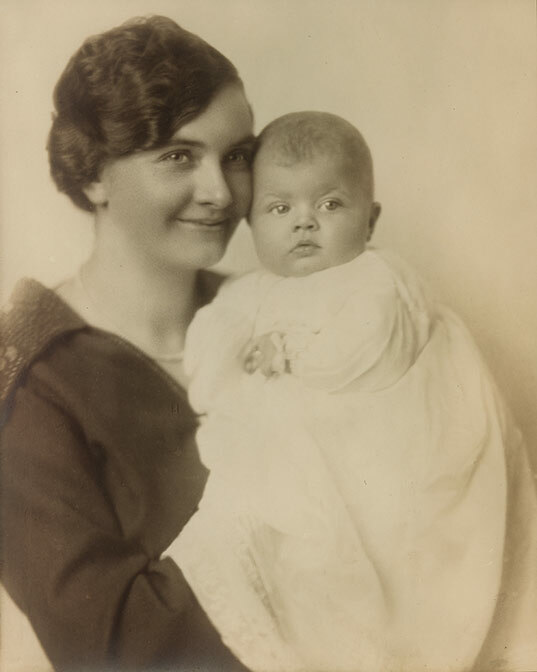 Given she is pictured as a baby, this photograph was likely taken soon after her birth. This is further supported by her attire, which suggest this was a formal portrait to commemorate her baptism. Unlike most Italian Canadians at the time, Franceschini was a protestant. This photograph was taken at the same time as another in our collection DICEA2011.0013.0007.